Costa Rica, in the heart of Latin America, is a country of contrasts and a varied mix of landscapes and cultures. Its fine range of attractions includes volcanoes, tropical rainforests, magnificent waterfalls and beautiful sandy beaches. Costa Rica is an environmental wonderland. It is renowned for its biodiversity and its many national parks, and boasts an array of wildlife; from crocodiles and monkeys to whales and dolphins. Projects Abroad has volunteering opportunities in Teaching, Care, Sports, Journalism, Business and Learning Spanish. Our projects are available for anyone interested in volunteering in the developing world; whether you are on a gap year, a summer placement, or a career break. The overseas voluntary work projects we offer in Costa Rica allow you to experience the true essence of this beautiful country, and give you a wonderful opportunity to fully immerse yourself in Costa Rican community life. Our projects are located in or around the lively university city of Heredia, where the Projects Abroad office is based. We also have a Conservation & Environment project where volunteers are based in Barra Honda National Park, about a four hour drive from Heredia. In Heredia you'll be placed with a local host family, who will make sure you have a great experience of their home town. Most host families and staff at the placements don’t speak much English, so your time in Costa Rica will give you a great opportunity to improve your Spanish, or start learning it. The Conservation & Environment placement is located at Barra Honda National Park. Volunteers are involved in a wide variety of projects including studies of mammals and butterflies within the park, trail maintenance and mapping the numerous caves for which the park is famous. 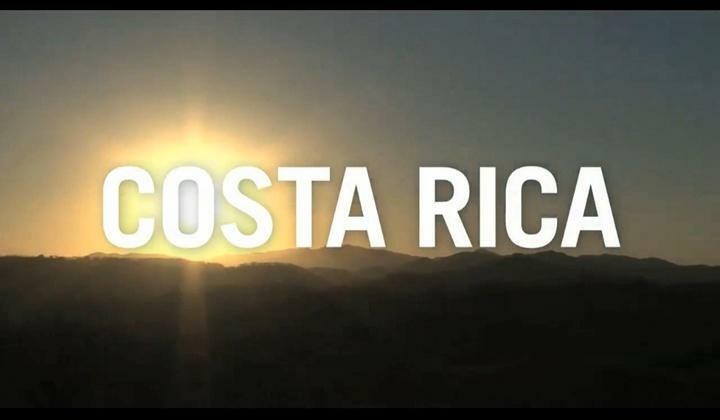 Costa Ricans - commonly known as Ticos - are well-known for their friendly hospitality. For over 60 years Costa Rica has been without an army and, unlike many neighbouring countries, peace and stability has lasted. Time and effort has been dedicated to sustaining the wildlife and improving standards of living. While Costa Rica now leads the way in terms of ecotourism, many Costa Ricans still live in very basic conditions. The growth of tourism in the country has led to an increased demand for English speakers. The vibrant city of Heredia, is situated in the heart of Costa Rica’s coffee-growing country, the Central Valley. With its large student population and close proximity to the exciting capital city of San Jose, Heredia has an active cultural and social scene and has plenty to offer to keep you entertained. Its central location means that Heredia is perfectly placed for exploring the rest of Costa Rica. You can easily reach the impressive Poas and Irazu volcanos on a day-trip from Heredia, while numerous popular tourist destinations, such as Arenal volcano and Monteverde cloud forest, are only a few hours bus ride away. But you're never too far from the coast in Costa Rica. Spoilt for choice by the number of idyllic beaches, you'll have plenty of opportunities for water-based activities like surfing, swimming, snorkelling or scuba diving in your time off from volunteering abroad, on both the Pacific and Caribbean coastlines. The laid-back life of Costa Rica is infectious and you will find it hard to leave. Volunteer at a kindergarten or day care centre in Costa Rica and provide care and support to the children. Your role will include helping them learn to read and write, and teaching basic lessons. Volunteer on a print journalism placement and gain a broad range of experience of the day to day running of a local newspaper. Work at a school for mentally and physically disabled young people or at a day centre for the elderly, and travel to Costa Rica with a purpose. Volunteer in Costa Rica on a General teaching Project. Your main role will be in assisting a local teacher with all aspects of English lessons. Discover the culture and traditions of Costa Rica and help the environment as a Conservation & Community volunteer. Get involved with important ongoing conservation work in Costa Rica and help with tasks such as reforestation work, mammal, butterfly, and bat studies, maintenance work, and restoring trails. Volunteers are needed in Costa Rica to assist in conservation efforts in the national park, while contributing to the welfare of the local community.